One of my absolute favorite places to visit in Colorado is the Vail/Beaver Creek area nestled high in the Rockies. The drive alone is spectacular. You soar through mountain ridges and canyon walls. Water runs down rock faces and through mountain streams. Aspen trees turn a brilliant yellow in the fall, blanketing the mountain sides in a golden hue. Vail and Beaver Creek are incredibly charming, elegant, and refreshing. Known for their resorts and ski runs, as well as their scenic beauty and incredible food scene, most people associate Vail and Beaver Creek with a winter playground. What many people don't know is Vail and Beaver Creek are fantastic getaways any time of the year. My favorite times to visit are June and September. The weather is beautiful, the sun is shining, and there are no mosquitos. Even better, the hottest spots in the Rockies often offer steep discounts on lodging, dining, and spa specials during the spring, summer, and fall months. Getting pampered at half the price, with a mountain playground virtually to yourself? I'll take it! So with all of that said, here are my top 10 things to do in Vail and Beaver Creek in the off-season. 1. Rent bikes or rollerblades and ride down the Glenwood Canyon Recreation Trail. The path follows the beautiful Colorado river and winds through the canyon. Wildlife abounds, if you have time to look for creatures while admiring the shear beauty and size of the canyon. 2. Have lunch at Larkburger in Edwards and sit outside if the weather permits! Larkburger has a commitment to natural ingredients and sustainable practices. Their burgers are full of flavor and cooked to order. I recommend the truffle burger and truffle fries. 3. Experience the ultimate in pampering and relaxation at the Allegria Spa inside the Park Hyatt Beaver Creek. The Aqua Sanitas in the Allegria Spa is a water ritual that is modeled on the ancient Roman baths. It's an otherworldly, blissful experience that takes you to a new level of peace and self-awareness. 5. 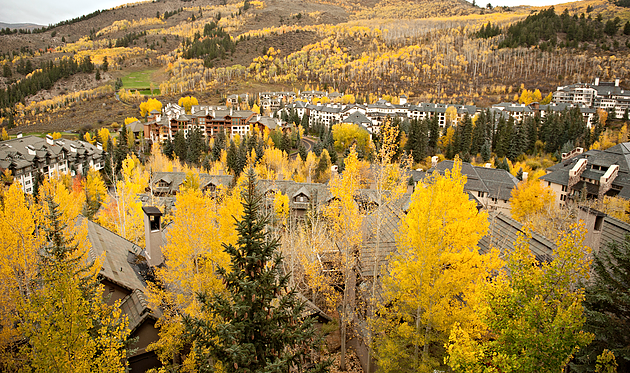 Explore the villages of Vail and Beaver Creek for their fantastic shopping options. There are a handful of tourist shops, but the remainder are high-end jewelry shops, art galleries, leather shops, and other interesting finds worth popping into and getting lost for a few hours. 7. Head over to the Grouse Mountain Grill and enjoy live music by jazz pianist Tony Gulizia. Tony has the easy energy of a long-time entertainer, which is clearly evident between sets when he chats with dinner guests. Be sure to call ahead and confirm that Tony Gulizia is playing that night. 8. Stroll through the Betty Ford Alpine Botanical Gardens. One of the highest botanical gardens in the world, the Betty Ford Gardens offer a plethora of perennials and annuals that you don't need to have a green thumb to enjoy. Water features add to the serenity of the winding, manicured paths. 9. 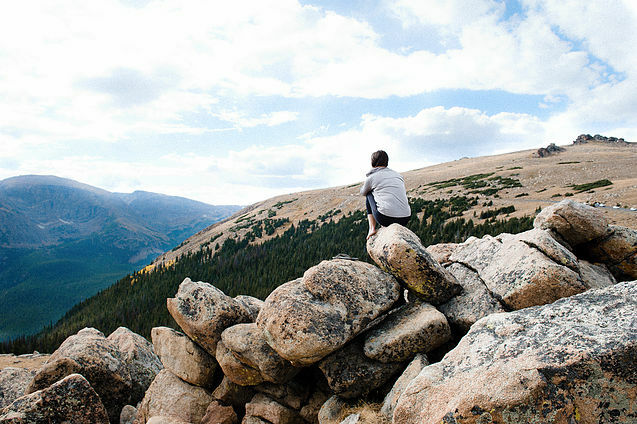 Take a day trip to Rocky Mountain National Park (below). Hop in the car and drive two hours northeast to see stunning views of the Rockies. Along the way, you'll pass through parts of Colorado that have been virtually untouched by man. Be sure to check the Rocky Mountain National Park website or give them a call to see if the road through the park is completely open. 10. Get high. Seriously. The ski chairlifts still operate during the warmer months of the year, providing stunning views of the Rockies and the valleys below. Grab a friend, hold on tight, and glide up the mountain sides. The panorama from the top is definitely worth it! I could probably make a list of about 100 different things I love about Beaver Creek and Vail. Few places have captivated me as severely as this little slice of heaven has. Hopefully, Colorado has now moved to the top of your travel destinations. If this list gave you the itch to get to the mountains, I would love to chat with you over coffee for a one-hour FREE vacation consultation. Want to know more about Colorado vacations? Email me at kate@klemstudios.com to get started with my vacation planning services. Safe travels, friends!